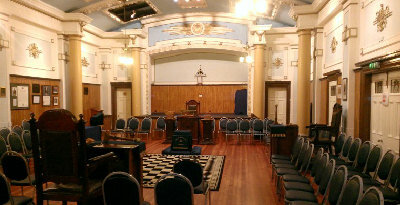 Provincial Grand Lodge of Lanarkshire (Middle Ward) Roll of Honour. Robert G. Law, District Grand Master, Central South Africa. This is to certify that the Honour of Distinguished Service Membership has been conferred upon the following Brethren of Lodge St. Bryde No. 579, in token of appreciation of their long and faithful service to the Lodge. Bro. Norman Telfer 25th. January 2010, the first M.M. to receive such an Honour. 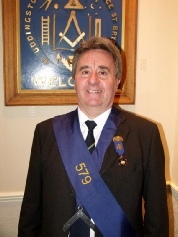 Special DSM jewel presented to Bro. Norman Telfer, D.S.M.